Nexus 7 2 is one of the best android tablet in the market today. But when we talk about playing a video on nexus 7 2 it can play videos in 1920×1200 resolution, which gives a more better viewing experience comparing to (nexus 7 1 1280×800, and iPad mini 1024×768). But, when we talk about playing online videos such as Youtube, Vimeo and Dailymotion videos on nexus 7 2 it unable to play such videos by default. Playing YouTube or any other online videos requires Adobe Flash Player whether you are playing it on a PC or on a tablet like nexus 7 2. This tutorial will help to find out how you can play YouTube and other online videos on nexus 7 2. It requires adobe flash player to play any online videos on nexus 7 2. The problem is, there is no direct way to install adobe flash player on nexus 7 2 because you will not get this on Google play. You will not be able to use adobe flash player on Google Chrome for android because its disable on Google Chrome for android. but you can use it and install on Firefox for android. If you don’t have installed adobe flash player and Firefox you can download it from the below links. Download and install Firefox and adobe flash player on your nexus 7 2 and you will be able to play YouTube and other online videos on your nexus 7 2 tablet. The default video player on nexus 7 2 supports only MP4 videos, But to play videos like VAI, WMV and other videos on nexus 7 2 you can download MX Player and MOPO Player from Google Play. Now follow the steps below. 1- Connect your nexus 7 tablet to your PC or laptop via USB or Wirelessly. 2- Copy and paste the video files into the default video folder on your nexus 7 drive. 3- Now play the video by using MX or MOPO player on your tablet. Note: if the video app doesn’t support on your nexus 7 2 in some case, then you can use below two methods. You can’t play any iTunes videos on your nexus 7 2 tablet directly, it’s because the iTunes videos are DRM protected and you cab’t play such videos directly on your tablet. To play iTunes videos you can simply download install ‘imElfin’ Video Converter. This will allow you to converter iTunes DRM to MP4. 3- Now click convert button on the lower right corner to start conversion. After finishing the conversion just copy paste the video file into your nexus 7 video drive. If you want to play any DVD video on your nexus 7 2 tablet, you will need to rip your DVD video to your PC first, you can use imElfin Video Converter Ultimate or imElfin DVD Ripper, then convert your ripped video to MP4 by using the imElfin video converter. Now you will be able to play DVD videos on your nexus 7 2 tablet. Theses are the ways you can use to play YouTube, Vimeo and other online or any other videos on your nexus 7 2 tablet. With imElfin video converter you can convert and play iTunes and DVD videos on your nexus 7 2 tablet. Share with us, how like this tutorial? 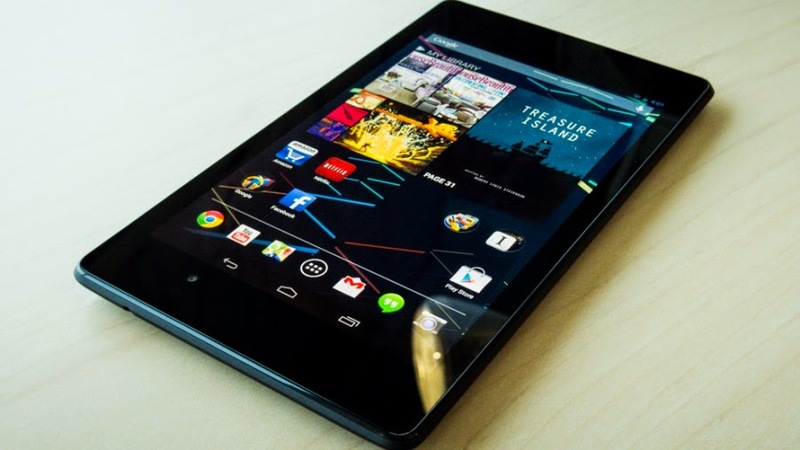 If you have any problem playing any of your videos on your nexus 7 2 just let us know in the comments below.